It must be a fake future! It must be an illusion! There are only five people on the bed made of golden sands. The sixth person never exists! It will never become true! Skuld covered her mouth and decided to never tell anyone this terrible future. She swore that she would do everything to avoid it! The future she saw wasn’t ill-fated, it was just the most likely possibility on the web of fate. Skuld, you can do it! You can stop this future from coming true! In the Mechanus God’s Domain, the alchemists and engineers who were cheering for Cyber Elf Alpha’s victories saw the newest record from the Starry Sky Chessboard. Suddenly, they froze and fell into silence. Gold will shine everywhere. Even though Yun Xi himself didn’t realize what an achievement he had obtained, the alchemists and engineers in the Mechanus God’s Domain wouldn’t ignore it. Before Cyber Elf Alpha was born, Norn was the recognized strongest chess player. His Star Go style was the most stable, he had rarely lost to chess players whose rank was below 5 star points. It was a lifetime achievement to defeat Norn the God of Wisdom on the Starry Sky Chessboard! He may defeat Orfina due to luck, however, the truth that he defeated Norn had proved her true strength! No matter what the reason behind the thing was, his Star Go strength must be in the list of top 5. However, such a strong chess player shouldn’t be unknown, but the information on “A Cloud in the Sky” showed that he was a total newbie. In the database of Cyber Elf Alpha, only his information was nonexistent. In the God Crystal, the newborn cyber god looked around with curiosity. 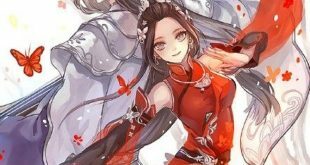 As the engineers were busy imputing the record of Yun Xi’s games, a great amount of flowing data appeared in her beautiful pupils, all information about “A Cloud in the Sky” was scrapped and started all over again. For the first time, Alpha felt curious about an opponent who she hadn’t met. She felt interested in him, she wanted to know how he defeated Norn the God of Wisdom. Even though her computing power was hundreds of times stronger than Norn’s, she tried her best but could only defeat Norn by depleting Norn’s time. If Norn had the equal computing power, Cyber Elf Alpha thought that her winning rate wouldn’t be higher than 50%. Build and calculate a special mathematical model. At the same time, Cyber Elf Alpha met her 47th opponent, whose threat level was only slightly inferior to Norn in her database. “Cyber Elf Alpha… she has 6 star points! Wait, she defeated Norn the God of Wisdom?” Orfina was really surprised. Apart from Norn the God of Wisdom, a new 6 star points chess player was just born. It was really an incredible achievement. Orfina always felt a headache when facing Norn the God of Wisdom. Originally, Norn was weaker than her, but he could always withstand her fierce attacks and reverse the situation on the chessboard at the last moment. “Confirm the target, Orfina the Ruby Dragon.” Cyber Elf Alpha looked at her opponent with expectations in her eyes. Her core program was built referring to the styles of the two strongest chess players, Norn and Orfina. Half of her Star Go style was learned from Norn and Orfina. Learning the advantages of all chess players and increasing her computing power infinitely by using the planet computers, this was the secret of her incredible Star Go strength. In some sense, Orfina the Ruby Dragon was her teacher. She could also perform Orfina’s Star Go style. Actually, she could reproduce all the Star Go styles she had recorded in her database as long as she needed to use them. She was the culmination of all the advantages of all Star Go players. This was her, the powerful cyber god. “Tengen!” Just like Norn the God of Wisdom, Orfina couldn’t help but exclaim when she saw Alpha’s first move. Why is it tengen? Why is tengen again? Why are you using the same style as my Casina? Come clean, do you have any relationship with my Casina?